Health insurance plans are easier than ever these days due to the online insurance providers. Plans of different insurance providers can accessed quickly with all details and compared easily as per convenience. Intelligent websites takes seconds in fetching the health insurance quotes. Depending upon the health cover that you choose, applying and enrollment takes only few minutes. But don't be in hurry because choosing the right health insurance plan for you and your family is a very important financial decision. 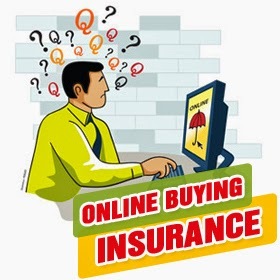 Whether you are looking for individual health insurance, family floater health insurance plan, senior citizen health insurance, and critical illness plan or top up health plans, here are five very important health insurance buying tips for online consumers. 1. Identify your need: The identification is very important for health care. Your coverage option depends upon many factors like where you live, pre existing disease. What If your employer offers you health cover, Is it sufficient? Every individual have their unique need so they must go with the health insurance plan as per their need. 2. Sum Assured: The maximum amount that ensured person could reimburse is "Sum Assured". Before choosing sum assured, take into account the rising cost of quality care in busy hospitals. Mean while also remember higher sum assured having higher insurance premium. 3. Collect Information and health history: Also, know the health information of the health insurance provider. Review the claim settlement ratio and know what your company offers in case of no-claim: bonus or discount. 4. Compare Health Insurance Plans: Do not compare insurance premium, compare the insurance plan. Health Insurance is a complex product that tightly coupled with the financial security. You need to get into comparing the health plan features in detail, or take help of an unbiased health insurance provider. 5. Ask the Experts: You will likely have many questions in your mind as you go through the process of online health insurance purchase. Ask to the industry experts with free o cost before you buy health insurance and start paying health insurance premium. Bajaj Capital Insurance, comprehensive online insurance portal provides health insurance plans from the top insurers in India. Such plans covers you and your family against the medical expenses such as Hospitalization expenses, Day Care Treatment, Pre & Post Hospitalization cover, ambulance, etc.